English actor Oliver Reed was known throughout his life as a hell raiser, embracing wine, women and song. In the late 1960s, Oliver Reed became a international star playing villain Bill Sikes in Oliver – the musical based on the Charles Dickens novel – and went to international fame. Young Oliver Reed in Curse of the Werewolf, directed by Terence Fisher. 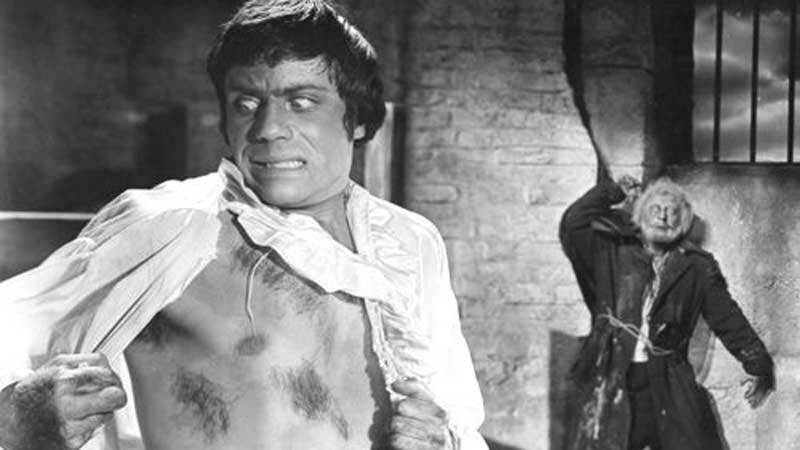 It is sometimes forgotten that the young Oliver Reed began his career with Hammer Films. He made several unaccredited appearances in Hammer horrors such as a bouncer in The Two Faces of Dr Jekyll (1960) and Lord Melton, alongside Peter Cushing in Sword of Sherwood Forest (1960). His breakout role was in Hammer’s only lycanthrope flick, Curse of the Werewolf (1961). The film’s tagline, “He had but one body – yet lived with two souls!” could describe Reed’s life, as an accomplished actor and drunken reveller. Ollie’s appearances on television talks shows are legendary. 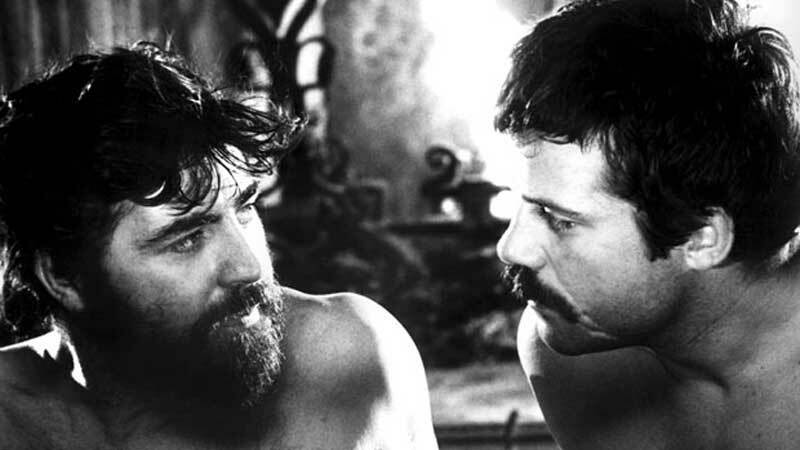 Actor Oliver Reed and Alan Bates, now a mainstream star, appeared together in Ken Russell’s Women in Love (1969). Reed would be directed again by Ken Russell in The Devils (1971). Reed would often appear drunk, nonsensical and sometimes aggressive. At other times, he would be uttering charming, thoughtful and well-spoken, regaling his audience with witty tales of his acting career and extra curricular exploits. Reed died from a heart attack, aged 61, in 1999. He was filming Gladiator in Malta at the time, so they had to complete his performance – which was posthumously nominated for a BAFTA Best Supporting Actor Award – by computer-generated imagery (CGI). His wild-living may have been the reason for his early death but it was unquestionably the reason for his uneven film career. Some were brilliant, others dreadful. Set in 18th Century Spain, Curse of the Werewolf stars Reed as Leon, a man born from a mother who was raped by a beggar in prison. 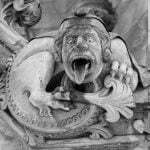 While it is never said, it is implied the beggar was a werewolf and Leon discovers his fate at the time of a full moon. A Hammer classic directed by Terence Fisher. Captain Clegg is a Peter Cushing film and Oliver Reed is only a supporting player, as a squires son. But he is in it, so the film deserves to be on this list. Captain Clegg is fun Hammer thriller about a local vicar, played by Cushing, who moonlights as a smuggler! Great film to watch. Reed shows his brooding menace as a biker thug in this creepy Hammer film, also known as These are the Damned. A weird film, it’s about a group who get trapped in a top-secret government facility experimenting on kids. A decent enough film. This early 1960s psycho-triller from Hammer stars an impressive young Oliver Reed as a spoiled rich kid who won’t let anyone get in his way. Written by Jimmy Sangster and directed by Freddie Francis, Paranoaic is one of the best films Hammer produced. Reed cornered the market as a thug, and The Shuttered Room sees him in fine nasty form, tormenting a married couple, newly-arrived to a backward town. The film is based on August Derleth (inspired by notes by H.P. Lovecraft) so you know it’s creepy! Reed played main character Urbain Grandier, a priest accused of witchcraft in this highly-controversial and much-banned historical horror, set in 17th century France. Included among the “1001 Movies You Must See Before You Die”, edited by Steven Schneider, probably tells you all you need to know. Watch it. Ollie plays the dad, alongside Karen Black and Burgess Meredith, in this Dan “Dark Shadows” Curtis haunted house horror. There’s loads of creepiness in this great ghost story. It’s slightly more subtle than other 1970s possession, ghosty flicks and definitely worth a viewing. Reed plays a psychotherapist running unconventional experiments on his patients in David Cronenberg’s 1979 sci-fi psychological horror. Reed displays a lot of restraint, creating a memorable creepy character, in what is seen as one of Cronenberg’s best films. 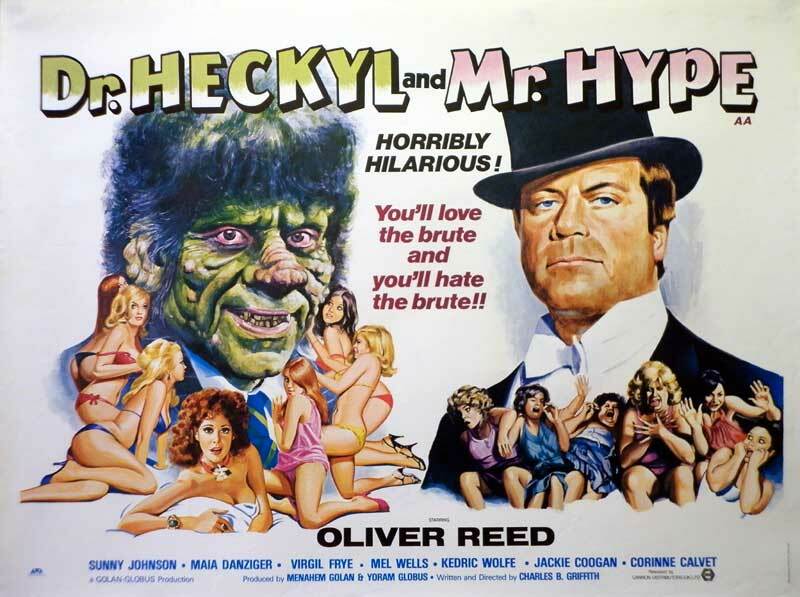 Dr Heckyl and Mr Hype is a stinky version of Robert Louis Stevenson’s tale. Reed plays an deformed doctor, who becomes handsome but violent when he drinks a potion. Watch The Nutty Professor with Jerry Lewis, which did the reverse Jekyll/Hyde thing better. Venom is kind of like Snakes on a Plane (2006), but with terrorists trapped in a house. And only one snake. Better than it sounds. Reed naturally plays one of the baddies. Reed returned to the killer snake horror genre, with Spasms co-starring with Peter Fonda. But this time there are satanists involved, and game hunter Ollie has to deal with a much bigger snake. It’s a poorly made film, only saved through Ollie’s performance. Reed was superb in THE DEVILS, and very good in CURSE OF THE WEREWOLF, THE BROOD, and THE DAMNED, and offered good support in DEVIL SHIP PIRATES, PARANOIAC, and CAPTAIN CLEGG. He was good as Dr. Heckle, but didn’t really get a handle on playing Mr. Hype in HECKLE & HYPE. A fine actor with many fine performances, he should be remembered more for his acting and less for his drinking, though his drinking was prodigious.